Created kinds are organisms that are defined by creation biology as sharing a common ancestry. The phrase refers to the Genesis account of the creation week during which God created many kinds of plants and animals. They are also referred to as "original kinds," "Genesis kinds," and more formally by creation scientists as baramin, a term coined in 1941 by Frank Marsh from the Hebrew words ברוֹא, bara (create) and מִין, min (kind). The study of baramin (known as Baraminology) is a rapidly growing field of creation science involved with the identification of the created kinds. The concept of the "created kind" originates from the biblical book of Genesis where it is first mentioned in chapter 1. In contrast to the evolutionary principle of common ancestry, creation biologists argue that organisms were created in a finite number of discrete forms as described in the Bible, which subsequently diversified through speciation and microevolution. There is much uncertainty about what exactly the Bible means when it talks of "kinds". The original Hebrew word min is used to describe a variety of groups of organisms. Nevertheless, creationists are in agreement that the phrase refers to a distinct barrier between different types or organisms and a limitation on variation. Due to an improved understanding of speciation, it is now widely recognized by creationists that the process has been a regular part of the development of the created kinds. In contrast to the earlier views, today most creation scientists see the trend opposite to what Morris predicted: equating the "family" level as most often identical to the kinds of the Bible, sometimes the "genus," and only once in a while the "species". Assigning the kinds to a particular level of the modern taxonomic hierarchy has proved problematic, as evolutionary assumptions have influenced the classification system. As a result, the kinds do not coincide on a consistent basis with any particular taxonomy level. Nevertheless, today most creation scientists identify the family level of classification (such as Felidae) as most frequently synonymous with the baramin, whereas for others like humans it coincides with the genus level (homo). As subpopulations become isolated, each group is less diverse than the parent population; some gene combinations may be lost entirely. The phylogenetic tree of evolutionary biology. The created kind is based upon an idea that organisms were created with the innate ability to vary a great deal, and evolutionary processes are merely the means by which that genetic information is expressed. The creationary phylogenetic tree is similar in form and function to the evolutionary tree, but bears two important differences. First, while the evolutionary tree traces life back to a single cell, the creation biology tree traces life back to a number of unrelated populations that roughly resembled the forms of life today. The evolutionary model is single monophyletic tree, whereas the creation model contains many polypheletic trees. Those who tend to support a polyphetlic origin of life are often called pattern pluralists. Many creationists believe that change within a population is accomplished only through the rearrangement of preexisting information or the degradation of the created genome. Others assert that organisms were designed with a molecular machinery capable of editing genes, adding new alleles to the population, which generates diversity. It is generally agreed upon that natural selection, reproductive isolation (speciation), and genetic drift are effective in leading to the formation of populations that are highly adapted to their environment. Speciation and genetic drift is believed to have occurred at high frequencies during the dispersion immediately after the global flood. Selection is used to explain the diversification of distinct species by both creationists and evolutionists. Imagine a small gene pool in which there are genes for both blue and brown eyes evenly spread throughout the population. In such a situation, some people will be born with brown eyes, and other people will be born with blue eyes. However, if part of the population separates from the main group, and the smaller population has only the gene for brown eyes, then the descendants of that smaller population will have only brown eyes. The characteristic for brown eyes has become "set" in the isolated population. Many creationists believe that the formation of the races was also a result of this process. The population on board the ark is believed to have been a hybrid population containing the genetic characteristics of all the races. When the population spread over the Earth after the flood, gene pools became isolated and began to adapt differentially to the regions into which they settled. For example, skin color became lightened by natural selection, so that northern populations developed lighter skin in order to produce vitamin D in more sun-deprived areas, while equatorial populations developed darker skin to protect them from the harmful effects of the sun. As a result of the population isolation, the racial characteristics became "set" in the respective populations, resulting in the characteristic races observable today. Most of the controversy regarding created kinds revolves around the asserted boundaries between the kinds -- the position that the kinds are unrelated. Those challenging creation biology often ask what basis creation biologists have for asserting that such boundaries exist, or for determining what those boundaries are. The project of determining the precise boundaries between the kinds is not easy, because it is in essence a historical project, in which the evidence is strictly limited by the evidence available today. This problem is analogous to the problems in constructing phylogenetic trees, where evolutionary biologists struggle to determine which criteria should be used in determining how life is related. Creationists generally assert that conclusions about common ancestry should only be drawn if there is substantial evidence to support the conclusion. That is, one should not presume that forms of life are related, but should hold that position only if there is solid reason to do so. In the absence of the ability to directly observe life in its original form, classification of kinds generally revolves around reproductive compatibility -- that is, created kinds are generally seen as having common descent if they are reproductively compatible. Thus, humans and frogs are considered to be different kinds because they are not reproductively compatible at all, while the African and European races are considered to be clearly of the same kind, because they are totally reproductively compatible. The classification is more difficult when reproductive compatibility is partial, as in the case of the mule, a hybrid of the horse and the donkey which, although viable, is not fertile. While it is possible that the two species descend from a common ancestor due to their reproductive compatibility, it is also possible that they do not, but were created separately with reproductive systems similar enough to create viable offspring, but not similar enough to create fertile offspring. Other criteria for common ancestry are rejected. The mere fact that organisms are alive is not seen as evidence of common ancestry, because there is no evidence available to refute the possibility that life originated in several unrelated forms. Genetic and physiological similarities are not seen as evidence of common ancestry, because there is no evidence available to refute the possibility that the genetic similarities are a result of a similar design being used on different "kinds." Since 2001, creation biologists at the Baraminology Study Group have been developing a new method for demarcating created kinds. The new method involves the application of morphological character data to create a "biological character space," which can then be used to determine continuity and discontinuity between species, and ultimately to determine "biological trajectories." Creation scientists generally recognize that kinds are a form of clade since created kinds refer to common ancestry. Baraminology, or the effort to classify life according to the created kinds, is thus the creationist equivalent of cladistics. Recent genetic study has revealed that Endogenous Retroviruses (ERVs) have the capacity to attach to RNA at certain sites within a kind. If ERVs attach in gametic cells, the viral genetic material can then be passed on to the next generation. Some sites are shared between kinds. For example, apes may have ERVs that share a site with humans. Evolutionists claim that the given site was populated in the ape-kind and appears in the human-kind by heredity. This would make sense, except there are many sites in apes not occupied in humans, and vice versa. Since the sites are common locations for ERVs to attach, another explanation is that they simply arrived independently. A more interesting observation about ERVs is that a "kind" will share common ERVs on common sites in the RNA, but another kind will have different ERVs on different sites entirely. For example, housecats and lions share the same ERVs on the same sites, but their ERVs are not the same as those on an ape, nor at the same sites. This has led some to speculate that ERVs could be an independently observable arbiter of the boundaries between kinds. In the end, much of the hype about ERVs has some creationists unnecessarily in a tumult. Many of the claims about ERVs are not backed up by empirical evidence. For example, the process of ERV integration into a host genome has never been observed, and many claimed ERV sequences have been found to have important roles in placenta formation and gene regulation in mammals. Before answering on the subject, one should do more investigation on the facts, which will make it easier to debunk, or at least find flaws in evolutionary claims. To understand the true history of life on Earth, it is important that creation biologists identify the organisms that were created in the beginning. It is generally assumed that the "created kind" is analogous to the taxonomic Family, although numerous exceptions certainly exist. A canonical list of kinds has not been constructed and identifications are extremely provisional (with the exception of humans, on which there is a strong creationist consensus). Baraminologists draw upon several sources of information to identify the created kinds, which include scriptural accounts, hybridization data, and the fossil record. Felidae — Scientists from Creation Ministries International and the Institute for Creation Research have proposed that the original feline kind was comparable to the Liger and the Tigon. 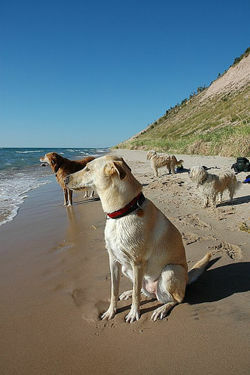 Canidae — Including Wolves, Foxes, Jackals, Coyotes, and Domestic dogs. Camelidae — Including both the Camel and the Llama, which are reproductively compatible, their hybrid offspring being known as "Camas." Bovidae — Including Cattle, Buffalo, Bison, and Yaks. Equidae — Including Horses, Zebras, and Asses. Caprinae — Including Sheep, Goats, and Ibex. Crocodilia — Including all the varieties of Alligators, Crocodiles, and Gharials. Elephantidae — Including African and Asian elephants, Mammoths, Mastodons, and Gomphotheres. Thus the created kind corresponds roughly to the family level of taxonomic classification, and possibly even the order, with the notable exception of humanity wherein the genus is representative. Humanity — Dr. Sigrid Hartwig-Scherer of the University of Munich concluded that H. erectus/H. ergaster, Neanderthals and H. sapiens were members of the same basic type (which corresponds to a monobaramin) genus Homo. Creationists view sexual compatibility to be one of the best physical indicators that organism belong to the same baramin (created kind). This is largely based on the observations that compatibility diminishes over time in related species due to genetic drift. The Bible also states that God created organisms with seed in it, according to their various kinds. Therefore, the ability of genetically dissimilar species to mate successfully would seem to indicate that they are related. A hybrid is the progeny that results from such a mating. Hybridization especially refers to human breeding of plants or animals of different breeds or species, although wild varieties are recognized. Hybrid plants are created when the pollen from one kind of plant is used to pollinate an entirely different variety, resulting in a new plant. This type of crossbreeding shows that the created kind is broader than the species designation, and often synonymous with the family level of taxonomic classification. To aid in the identification of baramins, a database of known cases of interspecies reproduction is needed. To meet this need, Ashley Robinson and Todd Wood started an Internet-accessible database of published references to such interspecific hybrids. This important creation science research tool is called the HybriDatabase. The database is hosted and maintained by the Center for Origins Research (CORE) at Bryan College; it currently contains nearly 5000 hybridization records. 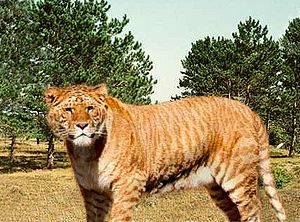 Bertram the Liger is a hybrid (a cross between a male lion and a tiger). The Mule—a cross between a horse and a donkey. The Liger—a cross between a lion and a tiger. Kekaimalu the Wholphin is a fertile hybrid of two different genera, the False killer whale and Bottlenose dolphin. Kekaimalu herself gave birth to a calf, showing she was a fertile hybrid. Thus, these creatures classified as different genera are really a single polytypic (many-type) baramin. Bos (true cattle) and Bison (American buffalo) can produce a fertile hybrid called a Cattalo. Bos and Bison are thus likewise the same polytypic baramin, although they classified as different genera. Brassica and Raphanus are different plant genera which hybridize to what has been given a new generic name Raphanobrassica. The creationist Don Batten helped create a hybrid of the fruit species lychee (Litchi chinensis) and longan (Dimocarpus longana), again from different genera. To identify whether a particular variety was created or evolved, baraminologists compare living organisms with those visible in the fossil record (which creationists interpret as having mostly been laid down during the flood). Creationists recognize that organisms change dramatically over time, and many new species have developed since the creation. However, it is also viewed as improbable that any specific variety would have evolved independently before and also after the great deluge. Therefore, it is believed to be assumable that any organism alive today, which has obvious ancestors in the fossil record, is a created kind. Unfortunately, the descriptions of the kinds of plants and animals formed during the creation week are very general, and provide no specific definitions that would help with the identification of created kinds. Summary of the original kinds detailed in the creation account found within Genesis 1 . Many kinds of wild animals. Additional references to kinds are present during the description of the global flood, but again these statements are so general as to provide no specific definitions. We can only be sure that a great many species from each broad category of animal were present on board the ark. For example we know that there were many birds due to the statement "every bird of every sort". However, we can not be certain certain God created just one species of birds like the "bird of prey", or several different species. Likewise were there many water fowl created or just one? Animals can change so dramatically through time that making such determination is exceedingly difficult. If only Noah had provided modern baraminologists with a complete manifest! The only specific mentions at the time of the flood are to the dove and raven, which Noah used to test whether the earth had dried sufficiently. From this reference we can sufficiently conclude that there were indeed a great many birds on board the ark. There are other mentions of plants and animals in the Old and New Testaments, but caution should be given to accepting these as baramin. Given the rapidity with which speciation and diversification can occur, it is possible that many of the animals listed elsewhere in the Bible have developed since the global flood. For example the list of clean and unclean animals in Deuteronomy 14 contains references to the red and black kite, which should probably be viewed as belonging to the same baramin (created kind). It also lists several species of owls including the desert owl, which has arguably adapted to conditions that did not exist before the flood. An analysis of the Biblical references to plants and animals reveals broad categories that should not be confused with the Biblical kind - as used by creation biologists. When comparing the three primary sources, the Genesis 1 account of Creation (a good framework), and the two Mosaic Law chapters about clean and unclean foods (which shows how distinctions are made within these categories and names specific families within) in Leviticus 11 and Deuteronomy 14 . These references reveal two broad categories of plants, and eight categories of life. The names provided below are the original Hebrew words used in Genesis 1, because there can be controversy over what the correct English translation for these words should be. Links are provided to Strong's definitions for these words for ease of examining how they are used throughout the Bible. Genesis 1:11-12 provides 2 definite categories of plants. A third possible type may be mentioned, Deshe (KJV grass), but may just be a generic term for plants used to describe the following 2, especially since the word Miyn (KJV kind) is not clearly used of it. Mayim Sherets ("Marine Creeping Things") - The Hebrew word Sherets is often translated creeping thing, and is used with another Hebrew word Mayim meaning waters, thus effectively referring to small marine life. It is the first creation mentioned in Genesis 1 and was made the 5th day of creation (thus involving marine life). (Genesis 1:20 ) In Leviticus 11:10 the marine creeping things were specifically said to be everything without fins and scales in the seas and rivers. Gadowl Tanniyn ("Huge Dragons") - Two Hebrew words are used here, Gadowl meaning "Huge" and Tanniyn, a word of uncertain origin usually translated "Dragon" by the KJV (21 times) and otherwise translated "Serpent" (3 times), "Whale" (3 times), or "Sea Monster (1 time). In Genesis 1 the two words are translated "Great Whales". It appears to involve some kind of huge reptiles of uncertain origin, probably dinosaurs. It is the 3rd creation mentioned in Genesis 1 and was created the 5th day. (Genesis 1:21 ) A specific family is the livyathan (KJV leviathan, also called piercing serpent - Isaiah 13:22), a deep-sea-dwelling, fire-breathing, nearly invulnerable creature with air-tight scales mentioned in Job 41 and Isaiah 27:1 said to play with ships (Psalms 104:26 ), that was destroyed by God and given as food to those in the wilderness. (Psalms 74:13-14 ). Mayim Chay ("Marine Life") - Chay is often translated "life", whereas Mayim refers to waters, thus Marine Life. It appears a major category for fish and larger marine life. It is the 4th creation mentioned in Genesis 1 and was created the 5th day. (Genesis 1:21-22 ) It appears grouped together with 3 of the 4 previously mentioned categories (minus 'Owph) as Dagah Yam (KJV fish of the sea) later in the chapter. (Genesis 1:26-28 ) They appear to be defined as having fins and scales in Leviticus 11:9 and Deuteronomy 14:9-10 . Remes ("Reptiles") - Remes is usually translated "creeping thing" by the KJV, and the word appears to mean Reptile or Lizard. It doesn't appear to involve insects, which are mentioned instead as Owph in Leviticus 11:20-23. This is the 7th creation of Genesis 1 and was created the 6th day. (Genesis 1:24-26 ) It appears to be also described as Sherets 'Erets in (Leviticus 11:29 ), in describing creeping things of the earth, with specific families said to be 'akbar (KJV mice), tsab (KJV tortoise), 'anaqah (KJV ferret), koach (KJV chameleon), leta'ah (KJV lizard), chomet (KJV snail), and tanshemeth (KJV mole). (Leviticus 11:29-35 ). ↑ 1.0 1.1 Baraminology—Classification of Created Organisms By Wayne Frair. Creation Research Society Quarterly 37(2), pp.82-91. Sept. 2000. ↑ 2.0 2.1 Morris, H., The Genesis Record, Grand Rapids MI: Baker Books, 1976. p63. ↑ The Concept of "Kinds" In Scyipture* [sic] by J. Barton Payne. Journal of American Scientific Affiliation 10:17-20. December 1958. ↑ Doolittle WF and Bapteste E. "Pattern pluralism and the Tree of Life hypothesis." Proc. Nat. Acad. Sci. 104(7):2043-2049, January 29, 2007. doi:10.1073/pnas.0610699104 Accessed October 16, 2008. ↑ Genetic Variability by Design by Chris Ashcraft. Journal of Creation 18(2) 2004. ↑ Mammoth—riddle of the Ice Age by Jonathan Sarfati. Creation 22(2):10–15, March 2000. ↑ HybriDatabase Center for Origins Research, Bryan College. This page was last modified on 15 June 2016, at 22:08.